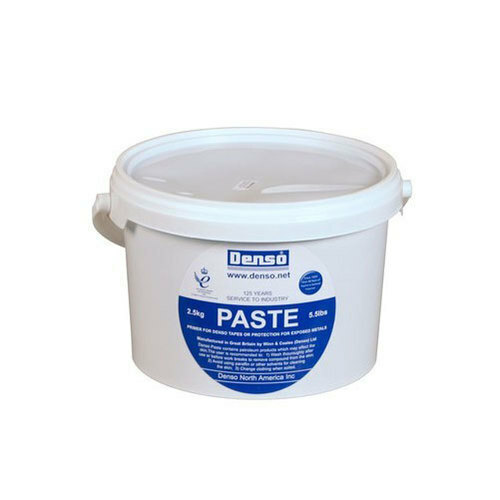 Banking on the skills of our qualified team of professionals, we are involved in providing Denso Primer Paste. Penetrates rust, displaces moisture, pacifies the surface, and aids adhesion of petrolatum tapes and mastics. Prepare surfaces by removing all loose scale, rust or other foreign matter in accordance to SSPC SP2 "Hand Tool Cleaning" or SP3 "Power Tool Cleaning". High pressure water wash of 3,000 - 7,000 psi is also suitable. Apply a thin uniform coat of Denso Paste to entire surface with gloved hand, brush or rag. Established in the year 2018 at Kharghar, Navi Mumbai, Maharashtra, India, We “Neha Marine Private Limited” are Private Limited Company Firm, engaged as the foremost Wholesaler of the best quality Denso Petrolatum Tape, Denso Primer Paste, Lalizas Light, Navigation Light, Life Jacket, LED Light Marine Compass, Blower Ventilation Fan, PVC Ducting, Fender Cylindrical, Polyform Buoy, Rule Bilge Pump and much more. With the support of our mentor “Ankush Marmat (Director)”, we have been able to attain a huge client base.